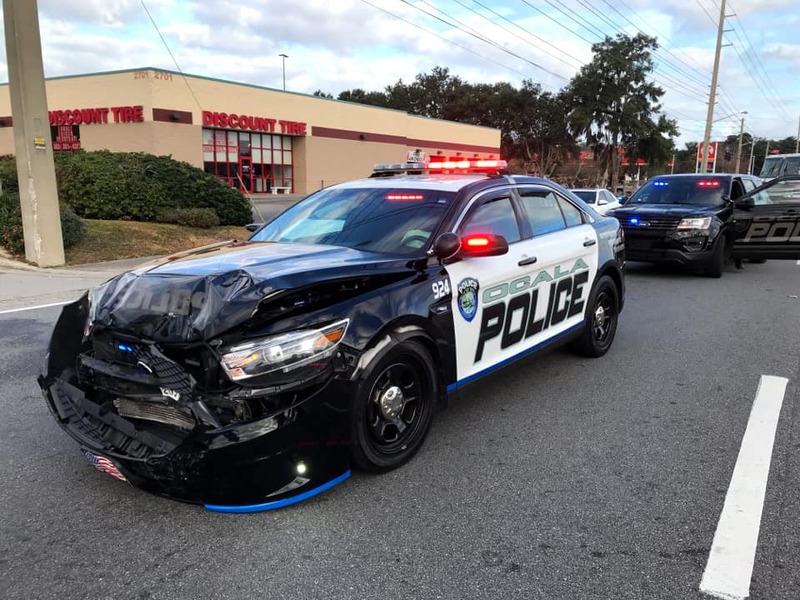 Ocala police have called off the search for a suspect who crashed into an OPD patrol car while attempting to flee from a traffic stop. According to OPD, at approximately 8:12 a.m., Officer William Joedicke conducted a traffic stop on a white Dodge Charger in the area of Gateway Plaza. As the driver sped off, he pulled out in front of another OPD officer and collided with the patrol car. 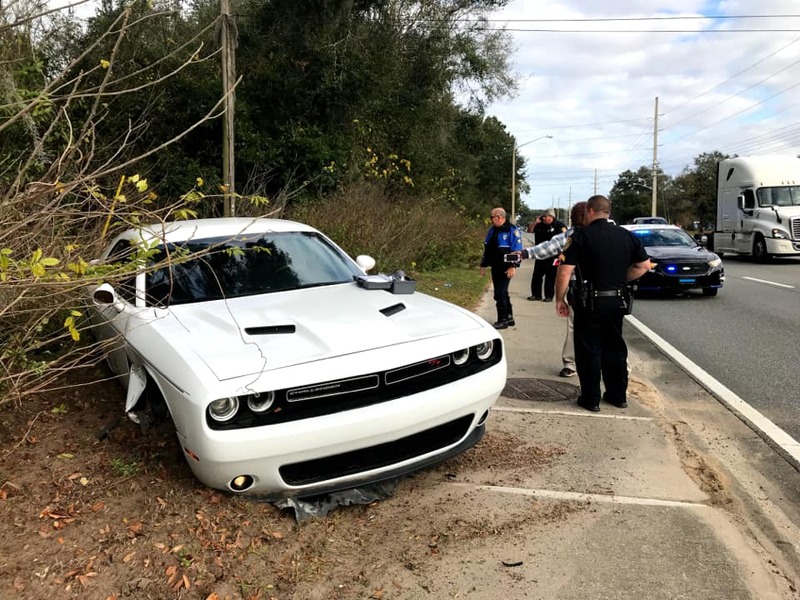 Police said that the passenger in the Charger attempted to exit the vehicle, but was struck by the Charger and continued to flee. The passenger was transported to a local hospital to be treated for non-life-threatening injuries. A short time later, the suspect lost control of the vehicle and slammed into a fire hydrant in the area of SW 10th Street and SW 27th Avenue. The suspect then abandoned the vehicle and fled on foot. As a precaution, College Park Elementary was placed on lockdown for a short period of time. A few hours after the incident, the suspect, Johnathan Holmes, 21, was arrested and charged with Leaving the Scene of a Crash with Injuries and Resisting Arrest Without Violence.